In compliance with the Base Closure Community Redevelopment and Homeless Assistance Act of 1994, Fort Mac LRA submitted a proposal in 2007 to the United States Department of Housing and Urban Development (HUD) detailing how we will address the needs of our community’s homeless population. 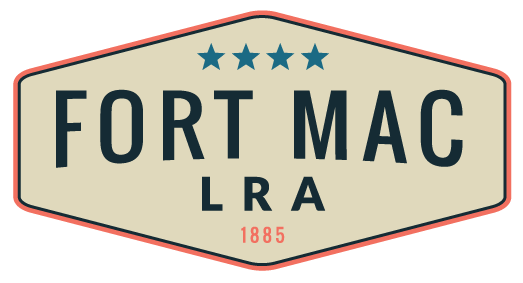 Based on conversations with homeless service providers in our community, Fort Mac LRA made significant commitments to serve the homeless population. HUD approved our application in 2011. Our commitment includes the creation of 325 units of housing for homeless rehabilitation. These units are not intended to be located in any single, large facility. They will be dispersed and integrated into communities just as typical housing units are. We have also committed to providing 19,000 square feet of office space for rehabilitation support services that addresses intermediate and longer term needs, so that homeless individuals can eventually get back on their feet. This large amount of space will be created both on Fort Mac LRA land and elsewhere in the city of Atlanta. We are working with the City of Atlanta, the Atlanta Housing Authority and the philanthropic community to locate these housing units and services. Hope Atlanta provides a comprehensive approach to homelessness in Atlanta by connecting individuals with support services and offering transitional housing to the chronically homeless, veterans and others. Progressive Redevelopment is a supportive program that provides housing for homeless men, and support services for addiction intervention, counseling, referrals for job training and benefits advocacy. Veterans Empowerment Organization (VEO)‘s objective is to improve Veteran wellness and economic security by admitting homeless Veterans to residential facilities and offering services from basic physical and mental healthcare to life skills training. Community Advanced Practice Nurses (CAPN)‘s healthcare professionals work to strengthen the lives of people who are medically underserved and to help interrupt the cycle of poverty. Focus is given to the care of women, children and youth who are homeless or lacking economic support. Mercy Care Atlanta offers comprehensive health care services that meet the majority of primary physical and mental health needs for those experiencing homelessness, poverty, mental illness or linguistic isolation. Atlanta Center for Self Sufficiency (ACSS) prepares homeless individuals for self-sufficiency through various programs and job readiness training.